• Front loading units include one (1) or two (2) master door(s) that swing(s) on continuous integral hinges. 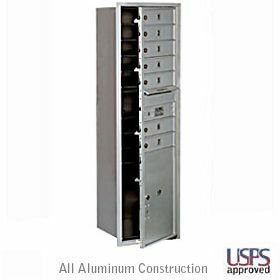 The two high outgoing mail compartment includes that U.S.P.S. master lock access door and cannot be used for mail distribution. The rear of the unit incorporates a solid closed back.